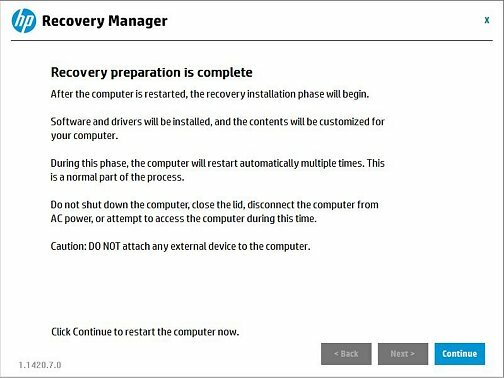 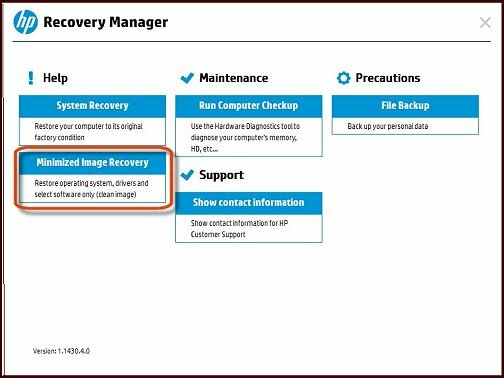 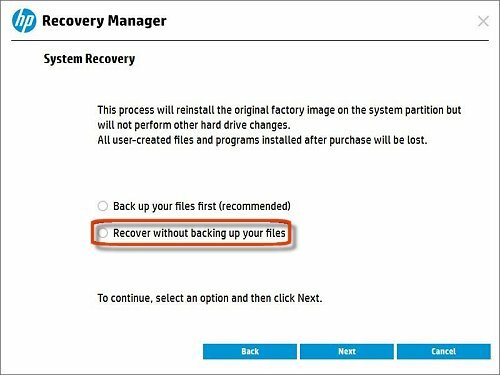 Your Recovery Manager screen may not look identical to the one shown here. 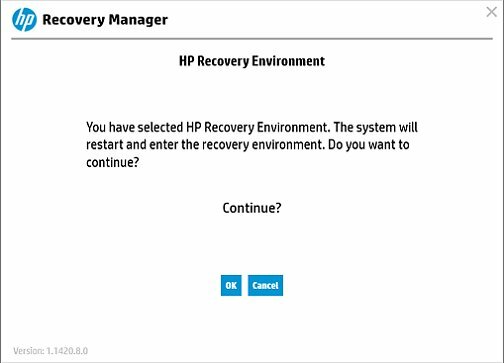 The HP Recovery Manager Welcome screen displays. 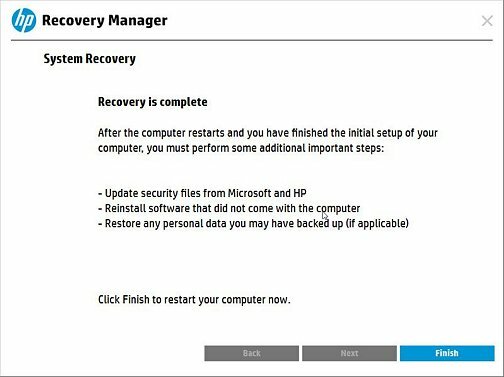 Read the on-screen information, and then disconnect any connected devices and cables, such as Personal Media Drives, USB drives, printers, and faxes. 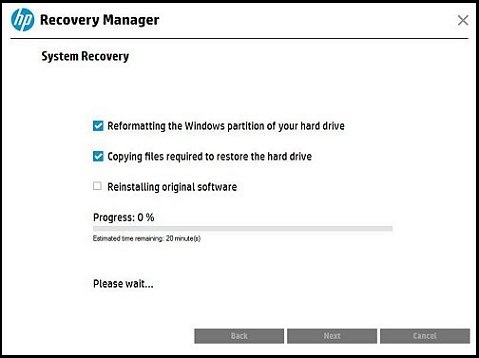 Remove media from internal drives, and remove any recently added internal hardware. 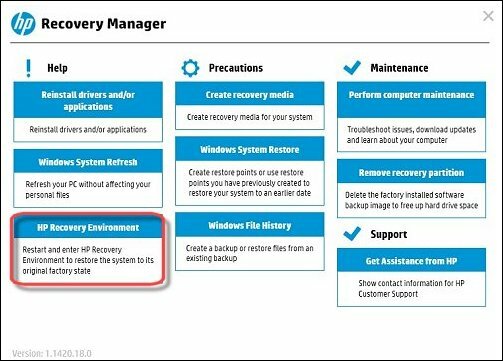 Do not disconnect the monitor, keyboard, mouse, or power cord.